If you can’t decide where to go on vacation this year, let Tourico Vacations help! NEW YORK, NY, January 18, 2019 /24-7PressRelease/ — No matter what kind of vacation you’re hoping to enjoy, Tourico Vacations is excited to provide recommendations for the most popular destinations for 2019. From European excursions, to African and Asian adventures, we’ll help you choose just the right place to make some great new memories. The following six selections are personal favorites! If you’re interested in exploring vast rural landscapes and relaxing in beautifully remote areas, The Isle of Skye in Scotland, and Namibia, Africa, are two of 2019’s top contenders. Namibia’s stunning deserts, massive dunes, shipwrecked coastline, and plethora of diverse wildlife (including desert-adapted lions and elephants) make it an extraordinarily unique area. 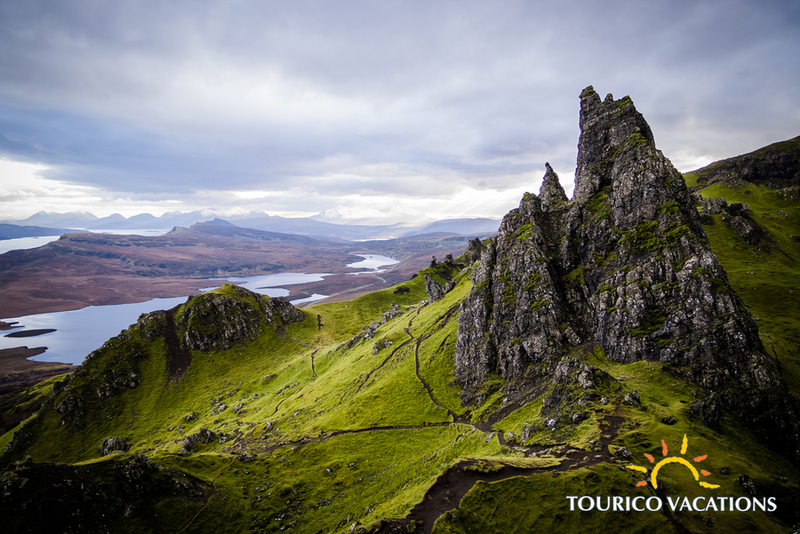 On the other hand, The Isle of Skye’s lush yet rugged countryside, medieval castles, quaint fishing villages, and relentless historical charm make it equally stunning. If lounging on empty beaches and uninterruptedly soaking up sun sound like better ways to spend your 2019, choosing between the Andaman Islands in India, and Krabi, Thailand, will be tough. Phulay Bay is a phenomenal luxury resort on the white beaches of Krabi, and the entire area is known for being “still under the radar, uncrowded and peaceful.” The Andaman Islands, however, are known to be “among the world’s top diving destinations,” boasting nearly 600 mostly-uninhabited isles to explore. If you’re looking for vibrant colorful communities, spectacular food, and once-in-a-lifetime opportunities to kick off your 2019, it’s hard to choose between Chengdu, China, and Moscow, Russia. Moscow definitely has the impressive architecture and exchange rates to make the newly revived capital a must-see city. However, Chengdu’s infamous teahouses, colorful wet markets, fashion, culture, and food makes it unmatchable – plus, they have pandas.